GUELPH, ONTARIO – April 16, 2018. The management team of Your True Companion Pet Products Inc. (“YTCPP”), manufacturers of True Raw Choice and Pawzzie pet treats and chews, two of the leading brands of natural treats for dogs and cats in Canada, is pleased to announce it has received HACCP certification for its manufacturing facility in Guelph, Ontario. HACCP or ‘Hazard Analysis Critical Control Points’ is an internationally recognized system for food safety and quality control and is required by the Canadian Food Inspection Agency (‘CFIA’) in all federally registered establishments where food is manufactured for human consumption. HACCP certification is rare amongst manufacturers of pet treats as manufacturing standards in the industry are largely unregulated. True Raw Choice pet treats and chews are made from all-natural ingredients sourced from CFIA federally inspected facilities and dehydrated low and slow to preserve flavour and nutrition. They are 100% free of additives, fillers, salts, and chemical curing agents. YTCPP’s HACCP certification comes on the heels of the relaunch of its True Raw Choice and Pawzzie treats and chews with new branding and packaging. The new look was unveiled at the Global Pet Expo conference in Orlando, Florida at the end of March and is currently on display at the Western Canadian Pet Industry Trade Show hosted by PIJAC in Richmond, BC. 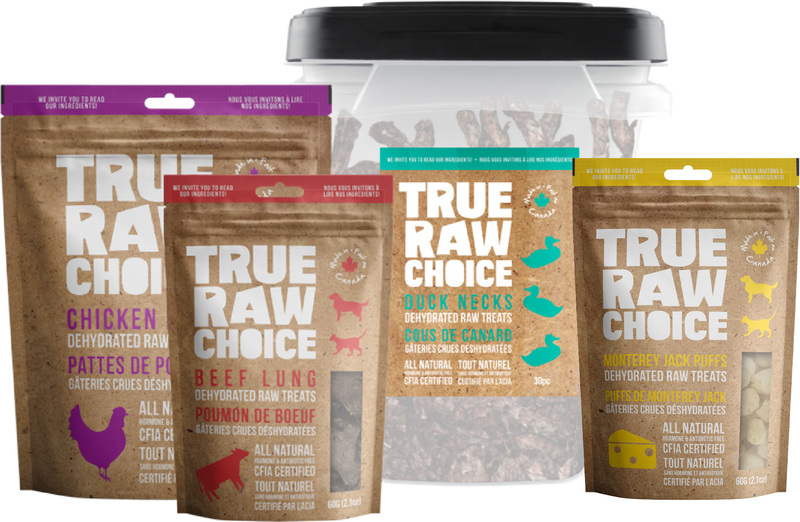 The newly branded True Raw Choice and Pawzzie lines are now available to distributors and retailers across Canada and the United States. Traceability is a key feature of an established HACCP protocol and so administration of YTCPP’s HACCP system includes detailed record-keeping at every stage of the production process. Production floor staff are food safety trained and a quality assurance person is on site at all times during production hours. Ingredients are sourced from CFIA federally inspected facilities and inspected on arrival for temperature and any evidence of tampering or transport damage that may lead to a contamination event. There is also an onsite laboratory where products and ingredients are tested to ensure quality and safety. All manufacturing equipment is disassembled and cleaned daily using food safe enzymatic cleaning agents. YTCPP’s facility is subject to an annual unscheduled inspection from a HACCP quality assurance inspector to maintain its status. YTCPP is 74% owned by Mississauga-based Dane Creek Capital Corp. (‘DCCC’), Canada’s pet industry merchant bank. Investments to date include its acquisition of Mountain Dog Enterprises Inc. (‘Mountain Dog’), the Edmonton-based manufacturer of frozen raw Mountain Dog Food which recently received the renewal notice for its HACCP Canada certification for the 9th straight quarter. Mountain Dog is the only HACCP certified raw pet food manufacturer in Canada. DCCC also wholly owns Baie Run Pet Products Inc. (‘Baie Run’), a leading brand of pet supplements which also launched its complete line of 18 unique products this past month. Baie Run pet supplements for dogs are cats are also manufactured in HACCP certified facilities, including YTCPP. 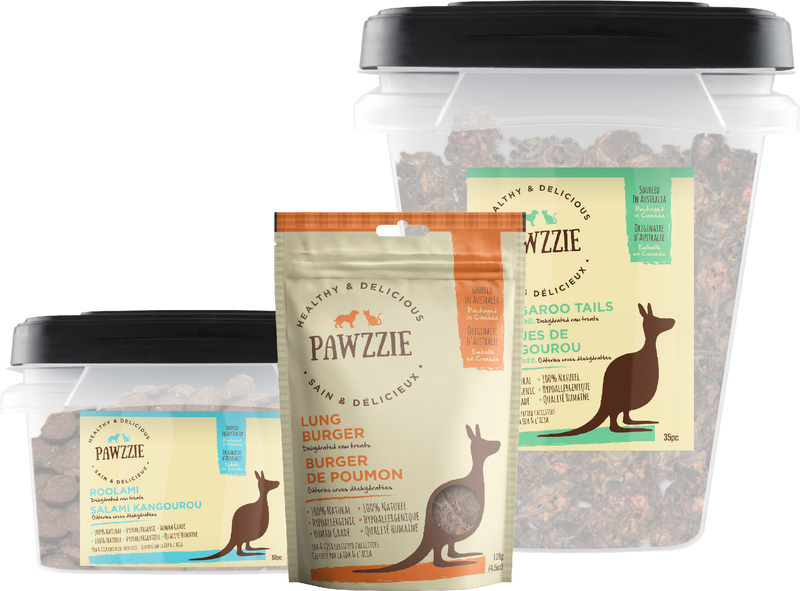 Pawzzie pet treats and chews are made from wild Australian kangaroo. They are truly free range with no added hormones or antibiotics. True Raw Choice treats and chews feature a range of single ingredient proteins from Canadian sources with no added growth hormones or antibiotics including traditional proteins like chicken and beef as well as novel proteins like duck and lamb. 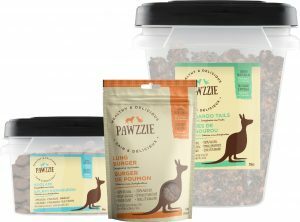 YTCPP’s Pawzzie pet treats and chews are an imported line featuring wild Australian kangaroo. In addition to its popularity as a tasty protein for both dogs and cats, treats featuring kangaroo meat are gaining wider acceptance because of its reported benefits for pets suffering from food sensitivities and allergies. True Raw Choice and Pawzzie pet treats and chews are available in pet specialty retail chains including Pet Valu, Global Pet Foods, and Tail Blazers, independents, and online at www.truerawchoice.ca. For more information or to place an order please contact: info@companionpetproducts.ca or 1.855.260.5024.